NEMOR is a network of researchers who want to promote research in, and for the sustainable development of, mountain areas. This aligns very closely with the interests of Euromontana, whose members include many research organisations. Similarly, Euromontana has been, and is, involved in many research projects; continuing such involvement is central for the future of Euromontana and to achieve its vision. You can find here a summary of NEMOR. 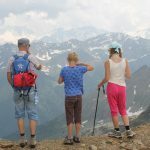 The Network for European Mountain Research (NEMOR) was established in 2017. It builds on concerted collaboration between researchers across different disciplines and European countries, particularly through initiatives led by the Mountain Research Initiative (MRI), and especially in the framework of the former Swiss-Austrian Alliance for Mountain Research (CH-AT). A key outcome of this collaboration is the Strategic Research Agenda ‘Mountains for Europe’s Future’, which was launched in Brussels on 26 April 2016. This position statement advocates the need to continue and promote mountain research in Europe. 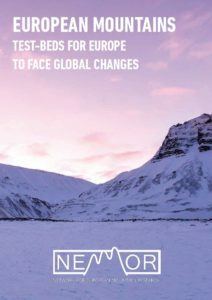 To do this, the scientists involved in this initiative, together with many more from across Europe, recognised the need for a platform that supports networking initiatives, providing scientists undertaking mountain research across Europe – or who are interested in doing so – with a common point of reference. The world is experiencing significant social, economic and environmental changes. Questions such “What roles can mountains play to overcome the future problems/challenges of humanity?” or “Which answers can research in mountains offer?“ are at the basis of NEMOR interests, and help set our long-term goals. 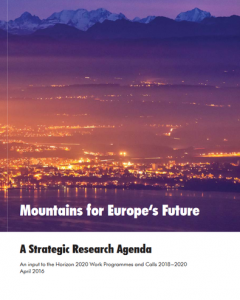 This document was made by members of the Network for European Mountain Research (NEMOR) to present our goals. The document suggests that the main topics that we believe should be urgently addressed in the coming years about mountain should be be framed in the three dimensions of the SDGs: environmental, social and economic. It also proposes the creation of a global partnership between scientists and stakeholders to trigger projects with a holistic view of mountain development and adaptation to global change. 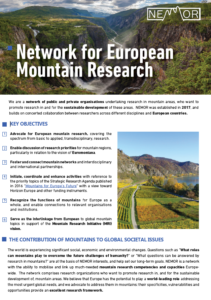 Serve as the interlinkage from European to global mountain topics in support of MRI’s vision.